I could wear Gorman every day and not get sick of it (hint, hint kids-slash-husband!). 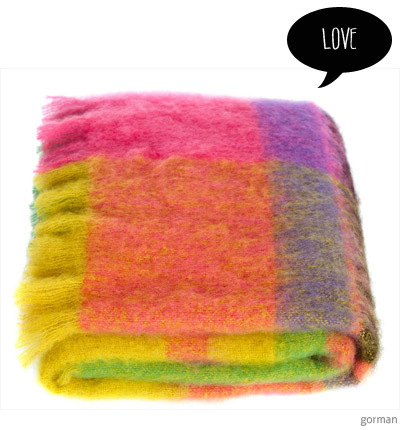 So I just about flipped when I saw the new mohair throws from Gorman in collaboration with Melbourne's iconic St Albans. Choose from a boucle finish (in yellow or fuschia) or brushed finish (in orange/blue, green/blue or my favourite - multi-colour). 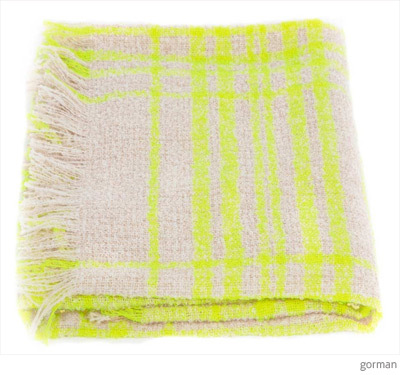 It's just like a favourite Gorman jumper for your sofa/bed! 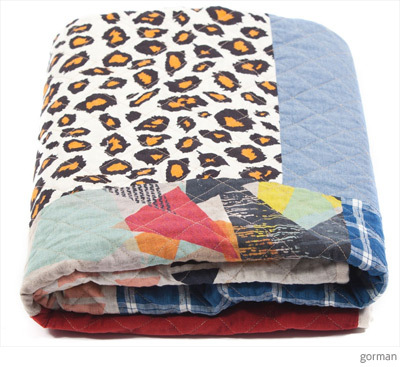 And speaking of beds, have you seen the amazing Gorman quilt in collaboration with Melbourne-based print media artist Ellie Malin that is about to be released? It's all kinds of wonderful. 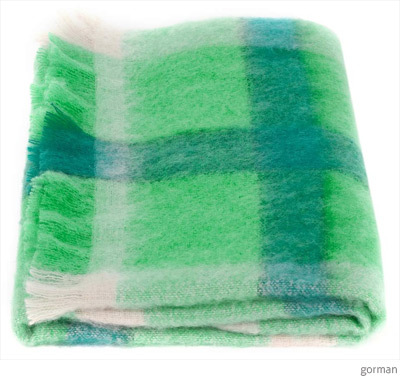 You can find Gorman mohair throws and homewares in the online store. Happy Mother's Day shopping! Oh my goodness, those rugs are divine.